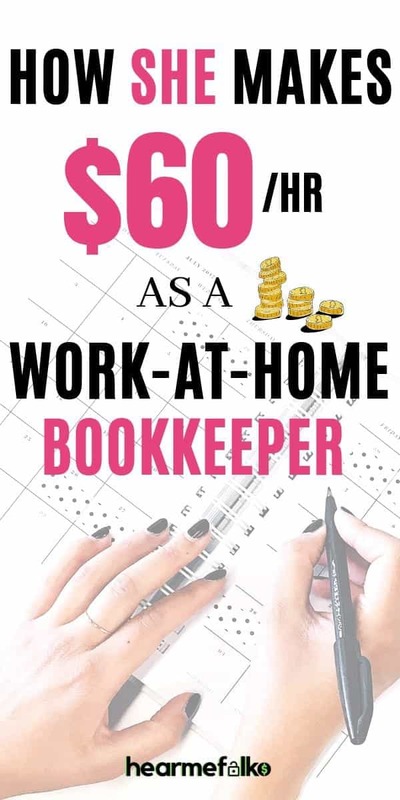 How She Makes $60/hr as a Work at Home Bookkeeper? Are you looking for a high-paying remote side hustle? Have you considered being a virtual bookkeeper? Bookkeeping is a lesser known side hustle that pays well and is always in huge demand. As per Glassdoor, the average salary for a full-time bookkeeper is $39,788 and expected to go up to $105k per year for experienced bookkeepers. Let’s talk about Bookkeeping, and what can one expect to do as a Bookkeeper? A bookkeeper is someone who is responsible for recording financial transactions – handling tasks such as recording sales, expenses, accounts payable, and accounts receivable. Think of them as the Marie Kondo of accounting! They organize all the figures into a format that is useful for the accountant. Many confuse this job for an accountant, whose job is to interpret /analyze financial data and offer strategic business and tax advice. Simply, accountants are a level up from bookkeepers. Frankly speaking, bookkeeping isn’t techy/sophisticated as it sounds. It doesn’t have to be scary. Even if you have zero accounting skills, no prior experience, no CPA or accounting degree you can become a work at home bookkeeper. Not sure if virtual bookkeeping is a realistic option if it actually pays the bills? Read on and find out if being a virtual bookkeeper is the work at home career for you! Today, I have Bethany Holt with me. Bethany is a personal finance blogger at www.bethanyholt.com, financial planner and small business consultant. She is extremely passionate about helping women achieve financial independence and gain confidence with their money. Having worked with 100’s of small businesses as a consultant for 14 years and teaching accounting for 4 years, Bethany loves sharing her money skills with others. She now helps women rein in their spending and start profitable businesses so they never have to rely on anyone for financial support. Ever again! I believe she’s the perfect person to answer all your questions. So, let’s get started without any further ado! 1. Hi Bethany, can you tell us a little about yourself and your work? 2. What inspired you to start a bookkeeping business? 3. How did you end up as a virtual bookkeeper? 4. How long have you been in this career? When did you start seeing money coming in? 5. Do you have a bookkeeping background? 6. In your opinion, what are the three core skills and tools needed to take up this side hustle? 7. Would you mind telling us how much money you make per month as a Bookkeeper? 8. What are some big obstacles one has to overcome getting started? 9. How did you land your first client? 10. What kinds of businesses need bookkeeping? 11. What advice would you give to someone wanting to become a Virtual Bookkeeper? 12. Do you think this is the perfect work-at-home career to other budding entrepreneurs? Ready to Make a Living as a Bookkeeper? Hi, I’m Australian and live in Victoria with my daughter and my two rescue kitties. I love dancing and have a love-hate thing going with running at the moment. I’ve been a bookkeeper and business consultant for the last 14+ years, taught bookkeeping and accounting at a Tertiary level for 4 years and am a personal finance blogger passionate about helping empower women financially. For the last 6 years, I’ve been studying Finance and Financial Planning to increase my earnings and expand my business. It’s been an intense period in my life and I’m so glad I don’t have exams or assignments to do anymore! Back in 2005, I was recently married and thinking about having a baby in the next few years. I worked a long way from home in a nearby city and it was a 3-hour return commute. I hated it! I knew when I finally became a mother I would never want to be far away from my child. So I put my thinking cap on and thought about the skills I had and how I could use them in self-employment. Necessity! As a single mother, I had school holidays, my studies at Uni and my students at my teaching job to juggle. The bookkeeping had to be online or I just couldn’t do it. Quite a few of my clients are micro businesses so they were easy to transition to online and the others I’ve set up when I’ve accepted the work as part of my onboarding process. Businesses are more comfortable operating online than they used to be and the software has developed so security is in place and my clients feel safe operating this way. I started in March 2005 and I saw money coming in immediately. I didn’t go in the cold though I had a contract role I slowly wound back to part-time until my business was supporting me. I was married then so our household had another income to keep paying the bills while I got established. My business took about 3 months to be fully operational and I left my contract job and opened my virtual doors. When I started I had been a sales secretary/ receptionist in real estate and took over the trust accounting (receipting rents and paying suppliers and owners) which I really enjoyed. Moving into bookkeeping was an easy step from there. I did take 12 months to get some broader experience as I’d been in real estate for 4 years. I just didn’t have the confidence I could do accounts in other industries. I took some temporary work at the Marriot, a book publisher, an internet company and an investment company. It was so much fun, I learned so much. I really recommend this path if you want to be a bookkeeper yourself as it gives you the experience of swapping workplaces, dealing with different people, exposure to various types of software and a chance to try out different aspects of accounting safely without fully being your own boss. You certainly get an idea if you like it or not! It may save you a lot of time and agony doing it this way. Also, I’ve taken the free BBL intro course out of curiosity. It’s always great to see what other professionals in the industry are up to! I thought it was really well done and full of helpful information. You should check it out if you’re interested in pursuing this career path in the US. Ben Robinson certainly knows what he’s doing, so you are in safe hands. Go ahead and sign up for his FREE 3-Part Video series right here. An interest in numbers and a logical mind. You need to be methodical and you will need to like numbers, a lot! An ability to build relationships. You will need to sell yourself and explain why you are the best person to help them with their bookkeeping. Being organized – if you miss one tax deadline or payday your business will be over. Be friendly and personable – people need to be able to trust you with their intimate financial details so being friendly and approachable is key! You also need to reassure them you know what you are doing so confidence is important as well. You will need your own computer to work from and a comfortable workspace. Buying all the accounting packages isn’t necessary as you can generally log into your client’s version online. Now I have a degree and teaching experience I charge a lot more than I did when I was starting out and I currently earn well over $60 an hour. When I was starting out I was earning between $35-45 an hour, this is for every hour worked. It doesn’t include travel time, admin related time, networking, education or for downtime between client meetings. Be sure to cost this in when setting your own rates! It also included my retirement contributions, I need to put tax aside from this and I need to provide an amount for days off (although there aren’t many when you’re self-employed!). You don’t get paid when you’re sick or on leave so you need to put some of your income aside. I decided on this rate by checking out my competition and charging $10 an hour less. I got busy really quickly using this technique and could quickly put my prices up! At my peak, I earned $500 a day consulting to a million dollar ASX Company. How much you earn is up to you! I would say it’s entirely possible to earn $3,000 a month working about 20-25 hours a week within your first 6 months provided you network constantly and work hard. Getting clients, confidence in yourself, dealing with uncertainty, loneliness and financial instability. I met a lady at a sporting event who was an accountant. She asked what I did and I said I was starting my own bookkeeping business. She took my number and introduced me to her boss, I did some cheap work for him helping with his real estate investments (accountants love a bargain!) and he then referred me to all his clients! While I was still at my temp job some of the managers were on charity boards and asked me to help clean up the volunteers work. There is such a variety available. I’ve worked for coffee shops, dental technician (makes false teeth), importer/exporter, and an affiliate marketing company, trades, retail, real estate, a botox clinic, plastic surgeon, dermatologist and many more! One inside tip is to become an expert in one industry like trades and then word gets out that you are the go-to person for that industry. It’s also way easier for you to stay up to date when you’re dealing with the same business type. For example, if you deal with importing and exporting you have to understand foreign exchange and need a sophisticated understanding of how taxation applies to goods coming in or leaving the country. You can, therefore, charge a lot more for this expertise! Do it! You will feel like you are on fire being chased by wolves for the first 6-12 months but it is so worth it. Eventually, you will adjust to the expectations of your clients and know what you need to do each month. Just hang in there during the scary bit and you’ll be just fine. Do a business plan and decide which customers you are going to service and research industry & competition in your area. Get at least a basic qualification in bookkeeping. You are working with people’s money and this helps them feel safer. Figure out a pricing strategy – I started $10 hr lower than the competition and then put my prices up as I got busy. Be organized and reliable always! You miss a tax deadline and your business is over. Get legal – check out licensing in your state, make sure you have appropriate client contracts and insurance to protect yourself. There are pros and cons with every work at home career and I think you need to be really honest with yourself. If you’re not a detail minded/organized person it’s probably not going to be a fit. Being accurate, responsible and efficient is essential to doing well in this job. It’s not for everyone but it is a really flexible and rewarding career. Helping people build their dream business and provide for their families is pretty rewarding! Once you are established you don’t need to continue to hunt for clients as they tend to stay loyal to you because changing is really disruptive to their business. Keeping up to date with tax laws can be challenging as they change all the time but if you like learning then being a bookkeeper is the career for you! Many thanks to you, Bethany. I appreciate you taking the time to show us how to become a bookkeeper in a detailed manner. 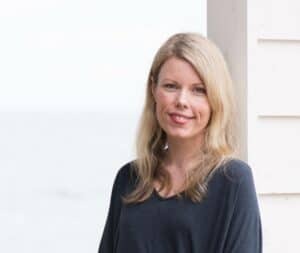 Guys, if you’re serious about your careeer, Bethany Holt offers reasonable coaching packages for budding bookkeepers, and she can help you get started with ease! You can check out her work with me page and get in touch. On the other hand, if you want to get certified, learn from the experiences of 400 qualified Bookkeepers, Bookkeeping Business Launch is the perfect place, to begin with. Ben Robinson from Bookkeeping Business Launch has successfully coached over 2000 people till date, and most of them are now making $80/hr. Interested, in getting paid high? Go ahead and sign up for his FREE 3-Part Video series. What do you think? Decided to give it a go? Who knows maybe this time next year you’ll be working from home as a bookkeeper yourself!